Click on an accessory to view more information. Press ESC or click CLOSE to exit back to the list of accessories. 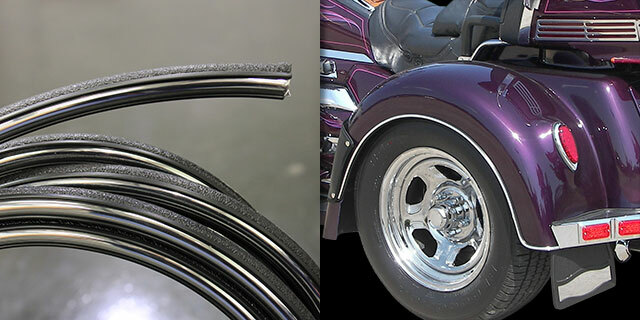 Personalize your trike conversion by adding a sleek chrome nerf bumper. 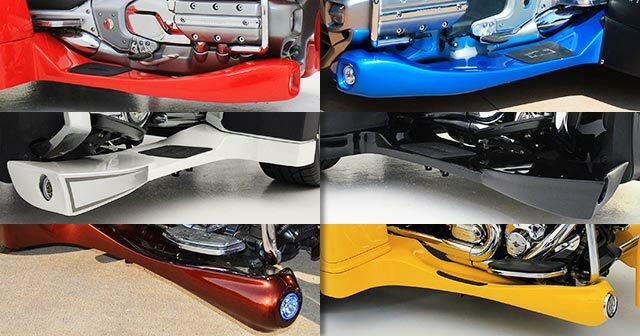 Add chrome fender trim to accent your conversion's sleek design. Add fender bras for extra protection and style. Optional embroidery enhances the style. 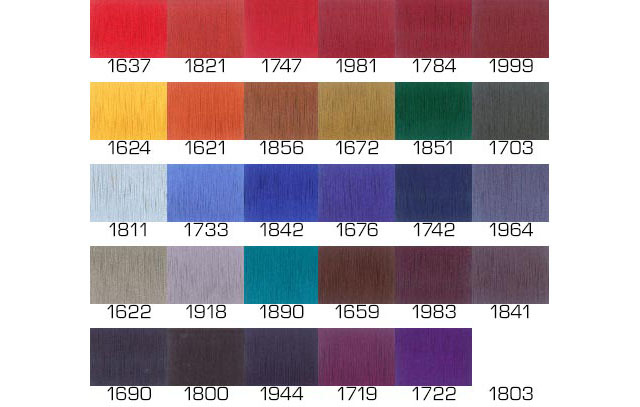 Most of the above shown with aqua shield bras. Choose between a chrome Peterson light bar or chrome Kuryakyn light bar for increased style and visibility. Protect your rear tires with durable mud flaps. 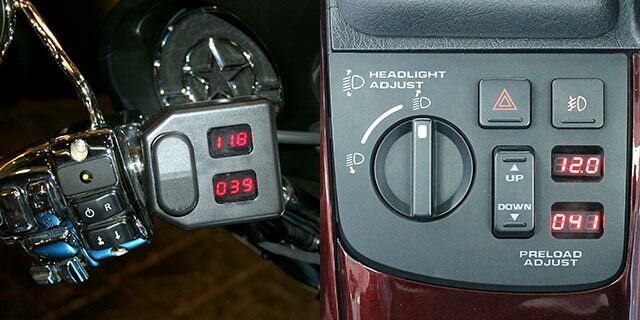 On-board air compressor with fingertip LED digital readout gives you on-the-fly control of the road ahead. Available parking brake kit activates the brakes to prevent rolling on an incline. Its tucked-away design doesn't interfere with smooth body lines. A front-end rake kit optimizes handling and eases the steering tension, but does not allow the vehicle to become too sensitive at highway speeds. Opt for either a mechanical or an electric reverse gear to make parking anywhere possible. 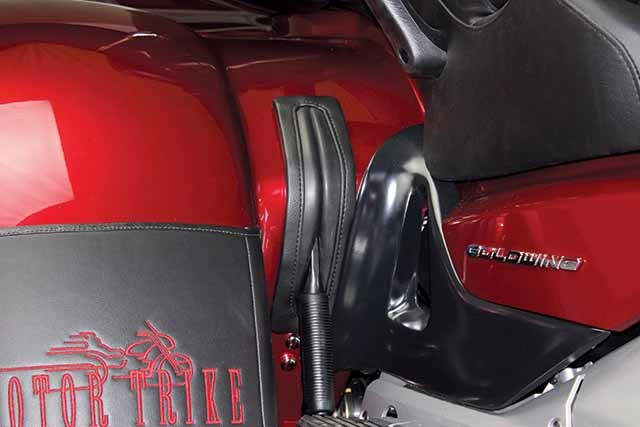 Mechanical reverse is equipped with electronic cut-off switch to protect from transmission damage. 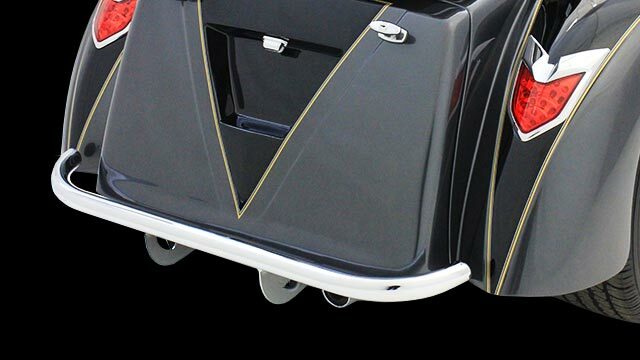 Weight-bearing running boards provide maximum support when stepped upon, protect from water and debris, and complete your trike's style. Optional fog lights with chrome accent rings available. 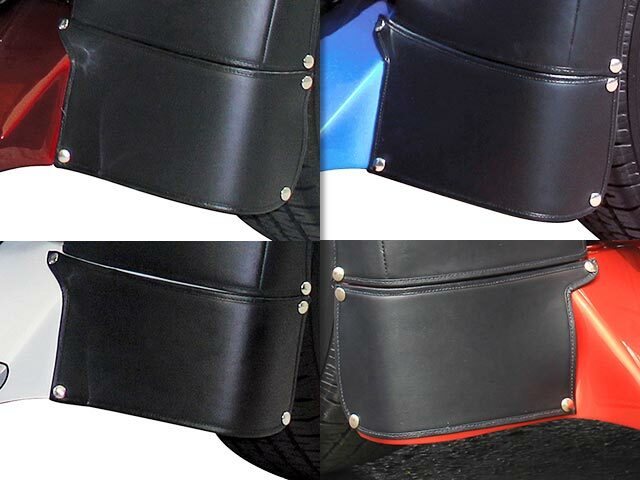 Aqua Shields for select Hondas, Vortex Trax, and Gladiator and Trog Trax shown above. Protect and customize with Aqua Shield and Trax bras. 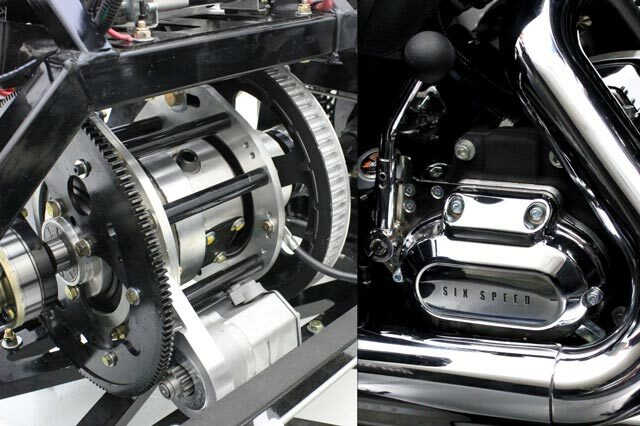 Both chrome and black side cover options offer superior fit to complement smooth body lines. Add the available rear spoiler for the Adventure with functioning run, brake, and turn signal lamps for added style and increased visibility. 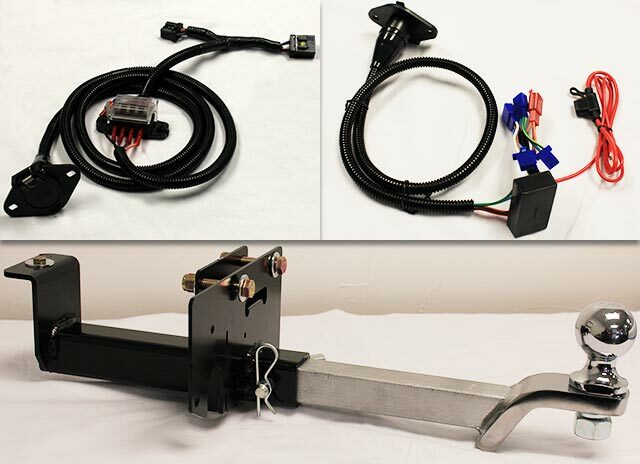 Available trailer hitch and wiring harness keep your Thoroughbred Motorsports trailer secured to your trike. Hitch and harness sold separately. 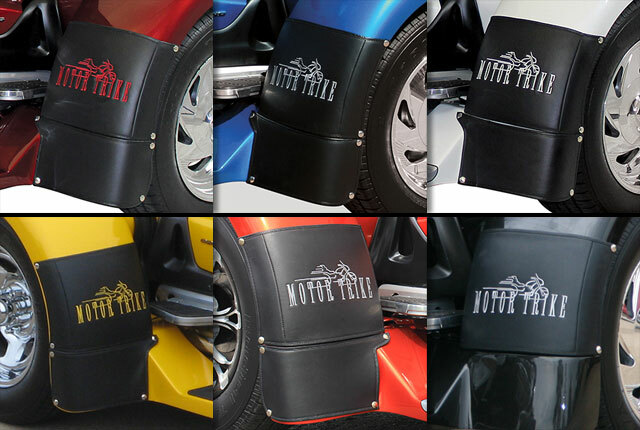 Econo trike covers with interlocking double-stitched seams offer breathable, lightweight, water-resistant, heat shield protection. 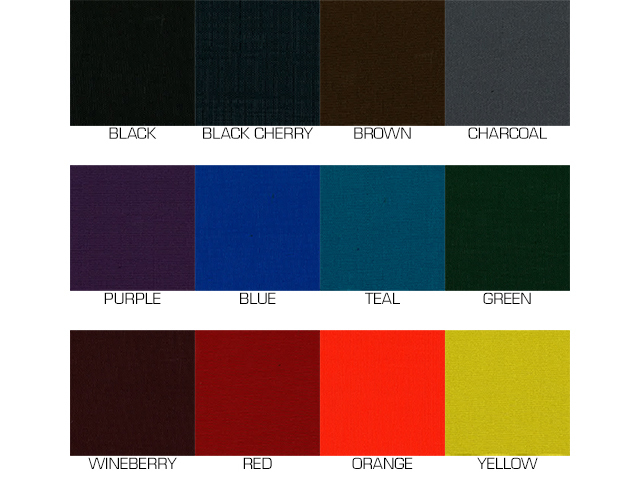 Available in three colors, shown above. 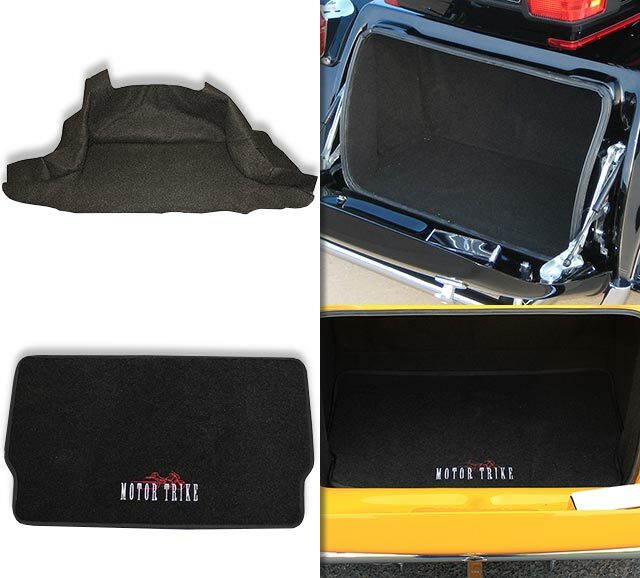 Keep your belongings safe and secure during the ride with available trunk carpet and embroidered trunk mat.